WHY DO YOU JUST SELL BRAZILIAN QUALITY COWHIDES? Brazilian cowhide rugs are widely recognized as the world's most superior quality cowhide. Their tanning processes are of the highest standard, and Brazilian cowhides are the most luxurious and supple looking. We work with top tanneries to produce our range of cowhide rugs & pillows for Jersey Road. A lesser quality cowhide such as those from other regions may have a bad chemical odour or display a duller or stiff coat which will over time deteriorate in quality. A top quality cowhide that has been tanned properly will provide longevity underfoot and have a lustre to them, as our hides do. Simply choose the items you like, choose the quantity and click the "add to cart" button. 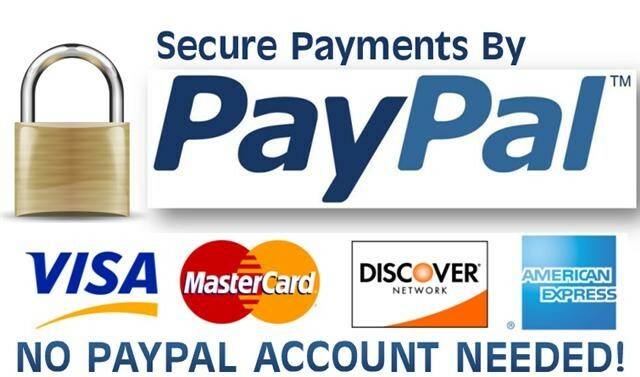 You will be taken through to paypal where you can either pay using any major credit card without having to create an account or you can use your own account if you have one. Our main warehouse is located in Miami, FL . We have several other warehouse also. At the moment we are an online store only and pick up is unavailable. By operating online only we offer cheaper prices to our customers. The photos we have on our website are of actual rugs in our range and whilst catering to natural variance we hand pick our rugs to ensure we bring you a well represented product. If you are after a particular size to fit a room or perhaps a you wish for a particular balance of colour - simply send us a message on our Contact Page and we will get back to you shortly. I'M BUYING THIS AS A GIFT, DO YOU DO GIFT CERTIFICATES? We certainly do! Simply click here and you can purchase a gift certificate for any amount you desire! This can then be used at checkout by the recipient to ensure they choose the perfect rug for their taste! We will even email the gift certificate through to the recipient for you :) What's more, the gift certificates are valid for a period of 12 months from purchase! We receive a lot of orders, but generally process them and dispatch within 24-72 hours (business days). We offer a variety of UPS shipment options at checkout to ensure you receive your order in a quick and timely fashion! We currently only ship to the United States (all States) and Canada. We can however quote international orders on an individual basis so send us an email on info@jerseyroad.com to discuss. Shop with complete peace of mind. If you are not completely satisfied with your particular cowhide rug or cowhide cushion purchase, we're sorry to hear that, however, simply get in touch with us at: info@jerseyroad.com within 14 days of receiving your order to discuss an exchange, or refund. Note: restocking fee applies for change of mind. You will be issued with a #RA return code, unique to your order. 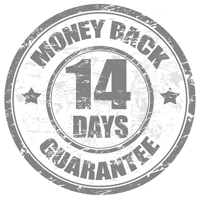 Simply return the item to us in its original unmarked condition within 14 days of receiving your rug. The item is your responsibility until it reaches us. Therefore for your own protection we recommend that you send the parcel using a delivery service that provides a tracking number and insures you for the value of the goods ( We recommend UPS or USPS ). Returned items must be unused and unmarked to warrant an exchange or refund. We will issue a refund, excluding a 10% restocking fee (please note delivery charges are only refundable where incorrect or faulty goods have been received). Alternatively, we will also be happy to exchange your cowhide rug for another one so you are satisfied with your selection. A 10% restocking fee applies and will need to be paid. We will then re-deliver the new chosen items, inclusive of free delivery as the first package sent out was too. Due to each rug being a unique natural and one-of-a-kind product, they do vary in pattern, shape, and colour slightly. They may have some markings such as brandings or scars, or some discolourations which is natural being a non-mad made product. Also note, some thinning of the hair in the hindleg region is natural. This is to be expected and not deemed a fault. If you are after a particular rug please get in touch and we will see if we have something close to what you are looking for! They most certainly are! Of course, all rugs and cushions are natural and individual thus slight variations in size and colour may occur. Be assured that you will be receiving a unique one of a kind product, we also endeavour to hand select the rugs & pillows as close as possible to our representation images. Vacuum and rotate the rug regularly. Hides have natural oils which resist staining. Dry spots; remove immediately by scraping carefully towards the middle of the spot. Wet spots using mild soap and warm water; do not rub. Absorb with paper towels, damp with cloth and mild detergent. Or use a soft brush to rub gently along the grain of the hair. Professional carpet cleaning when needed. You can use a leather spray protectant on your rug especially light coloured rugs, however make sure it is compatible for leather or suede. We recommend rotating your hide every 3 months in high traffic areas and not placing your cowhide in direct sunlight. Please note; due to being folded up on the warehouse shelving, rugs can arrive some slight creases due to folded up, allow several days to even out if the case, or give the rug a light vaccuum upon receive, and you will see the creases disappear in a few days. Just like any leather garment or item if folded. We do not roll them due to their unique shape, folding is the best way to ship and send. As stated in our PRIVACY section, all content included on JerseyRoad.com website or associated social media sites managed by JerseyRoad, such as text, graphics, photos, logos, button icons, images, is the sole property of JerseyRoad.com and is protected by United States and international copyright laws and may not be replcated or used on any website or social media website unless prior permission is granted for the use of such content, by JerseyRoad. All photography is owned by JerseyRoad.com and may not be altered, cloned or copied for the use by any 3rd party not run by JerseyRoad without approval to do so.